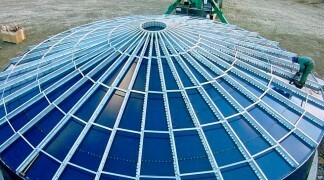 Roofs are designed to be self-supported with no center column supports required. 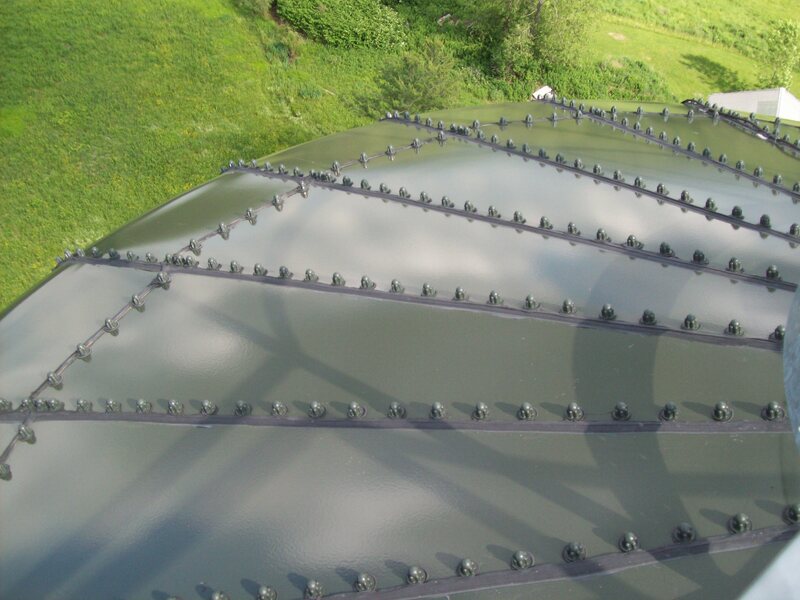 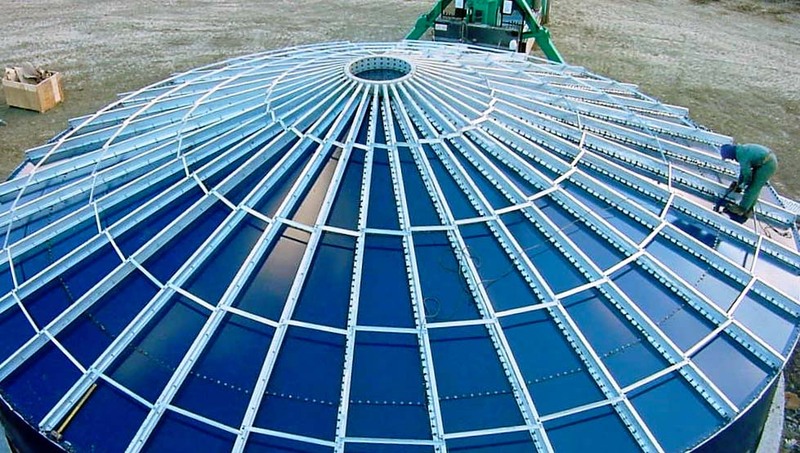 Glass fused to steel knuckle roofs are available for tanks up to and including 31′ diameters and are fabricated with the same glass fused technology of the Aquastore tank sidewalls. 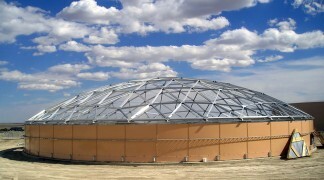 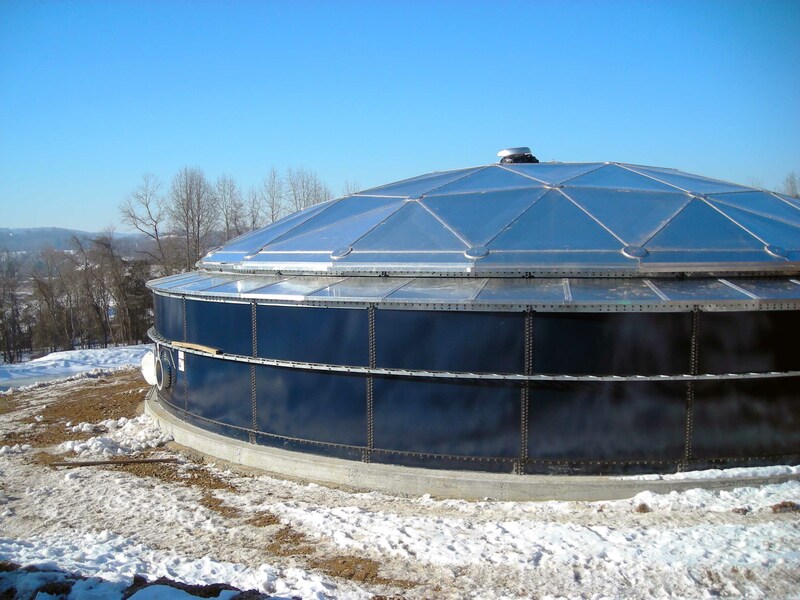 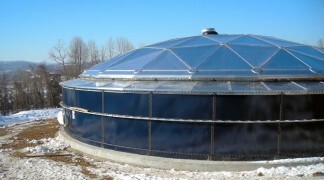 Aluminum geodesic dome roof designs are designed for larger tank diameters. 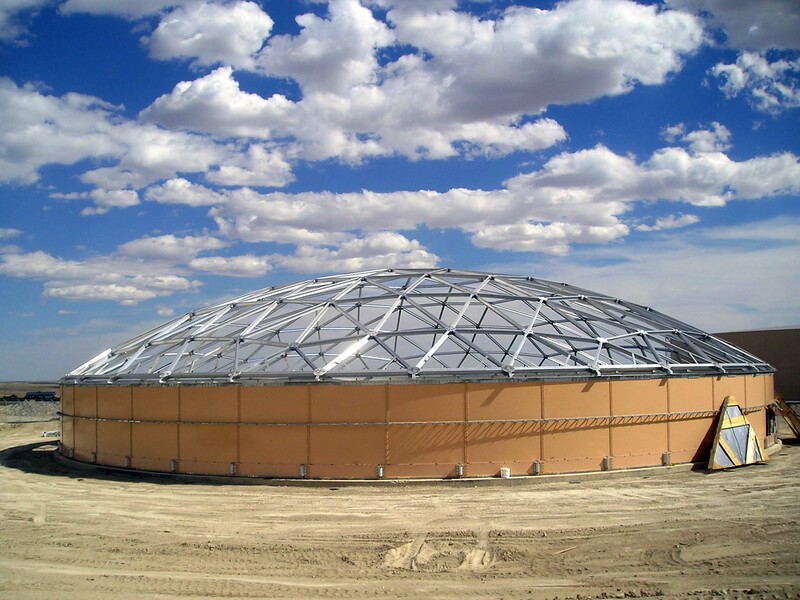 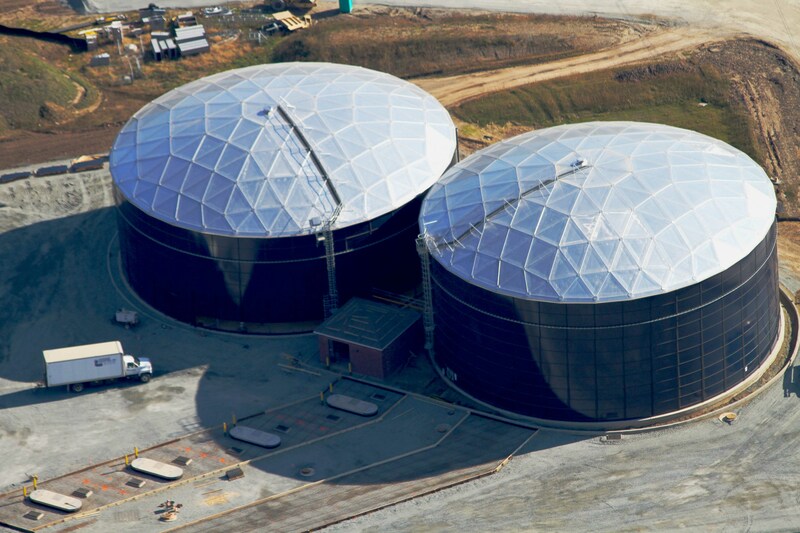 Domes are designed with precision fabricated structural frames and panel systems that are permanent, lightweight, energy efficient and with low maintenance requirements. 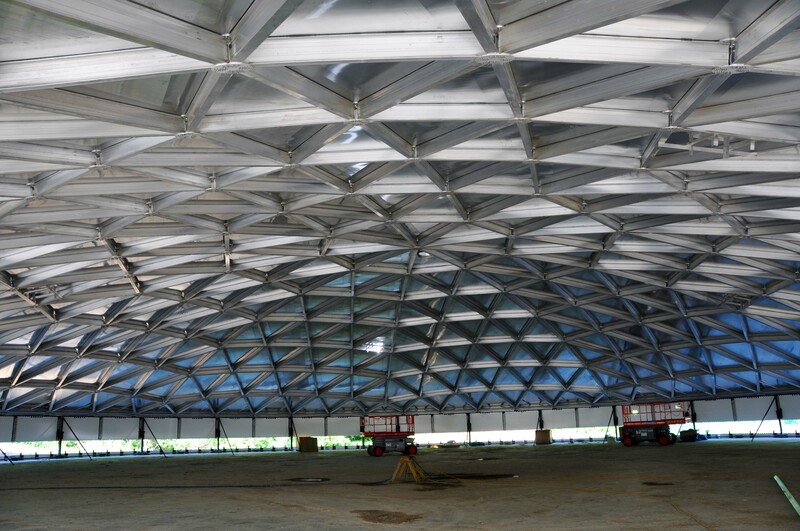 Externally supported roofs, membrane roofs, flat covers, etc are all part of the available design package for your projects.